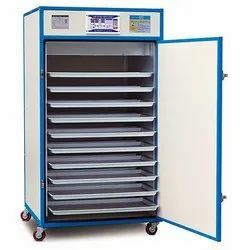 Pioneers in the industry, we offer ground nut roaster, roaster, cashew nut roaster, spice grinding mill, tray dryer and potato skin peeler from India. 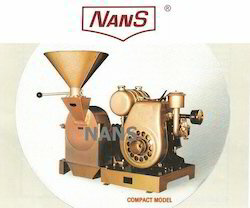 “NANS” Ground nut roaster with automatic stirrer. 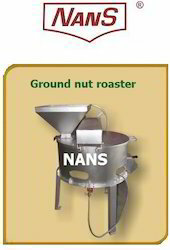 Our “NANS” brand ground nut roaster is specially designed with automatic stirrer for even roasting. Heating unit is with the help of LPG (liquid petroleum gas), which make the roasting economical & therefore making the roasting profitable. Simple & easy to operate as it has a automatic stirrer. “NANS” Roaster with automatic stirrer. 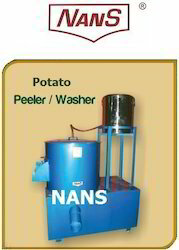 Our “NANS” brand Roaster is specially designed with automatic stirrer for even roasting. Heating unit is with the help of LPG (liquid petroleum gas), which make the roasting economical & therefore making the roasting profitable. Simple & easy to operate as it has a automatic stirrer. 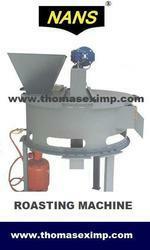 “NANS” Cashew nut roaster with automatic stirrer. Our “NANS” brand cashew nut roaster is specially designed with automatic stirrer for even roasting. Heating unit is with the help of LPG (liquid petroleum gas), which make the roasting economical & therefore making the roasting profitable. Simple & easy to operate as it has a automatic stirrer. • cpmpact box type• aluminium trays of dimensions approx. 80 x 40 x 3 cms.